Based on our vision and tactics, we are developing several prototypes. 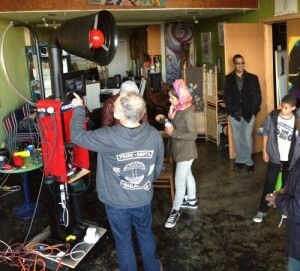 Each prototype concept embeds communication tech in public space – reaching new customers and residents through innovative communication strategies; reveal the distinct cultural assets of Leimert Park – reinforcing historical identity and building a neighborhood brand; foster economic development – increasing flow and investment, link cultural activities and economic vitality. (a) Introducing: “Sankofa Red” … our first physical prototype! We invented a circuit board to embed Raspberry Pi computers inside old payphones! You too can learn how, and get a board. To implement one, minimal hardware skills are needed. Some software skills are needed, though you can also use our code. Most important are the community organizing and art skills if you want to create something like Sankofa Red or a game like Sankofa Says. (c) Sankofa Says, our first game! 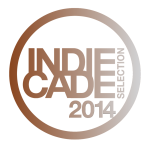 We launched a new game at IndieCade 2014, the leading festival of independent games. 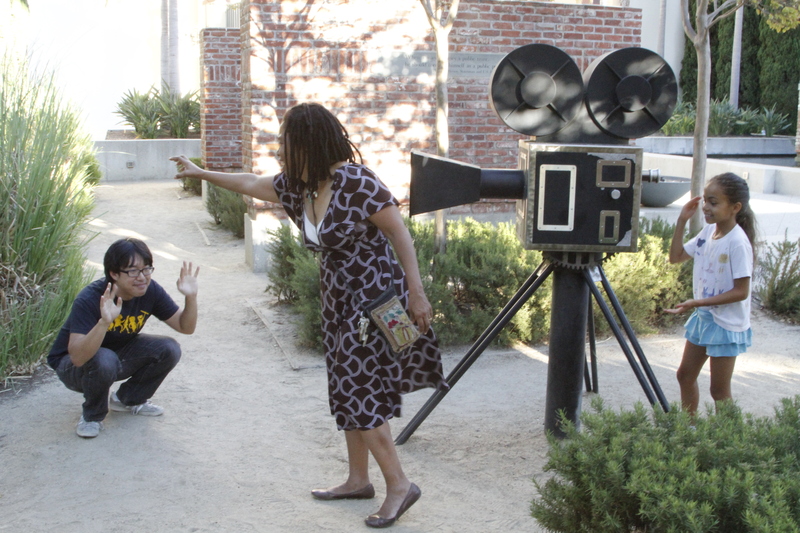 The goal was to tell the “neighborhood story,” first at the Festival site in Culver City, in hopes of bringing it to Leimert Park soon. In brief: the game requires hitting the streets, meeting new people and forming flash rallies. With a little luck, you will discover strange cinema history, play with public art, and even help tell the neighborhood story yourself. Success & Measuring Impact: If successful, the prototype pitches will resonate with the local Business Improvement District board, as well as individual philanthropists and business owners. Success is about securing funding for a second phase to actually build out the prototypes — and to measure their impact. Initial designs will specify their metrics for success (such as 75+ new business inquiries in the first month, or a 5% increase in the number of mentions of Leimert Park in regional media, or measurably increasing youth satisfaction with the neighborhood). These metrics could be investigated during the follow-up course in the fall, or as part of subsequent prototype funding. Like any good innovation agenda, we also expect to be surprised — the greatest impact may emerge organically, with success depending on our ability to be flexible and grow quickly.